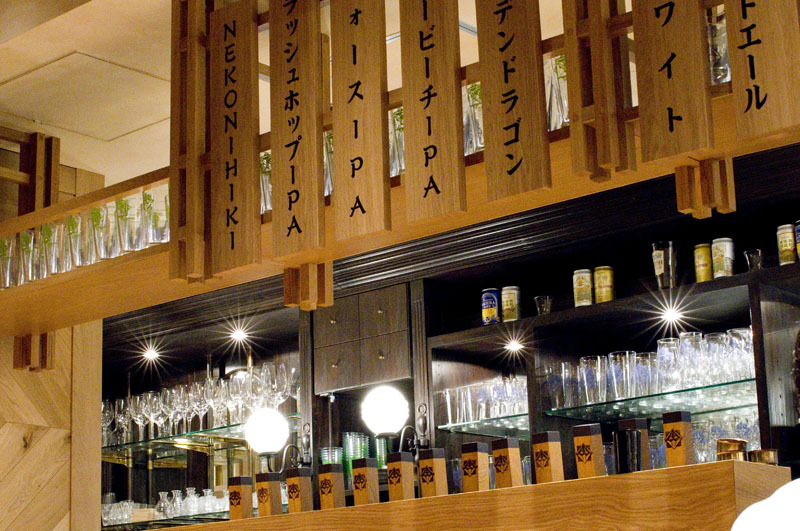 Run by the excellent Isekadoya craft-beer brewery, this lively izakaya serves thirteen of the brewery's beers on tap along with several kinds of sake from Mie Prefecture. 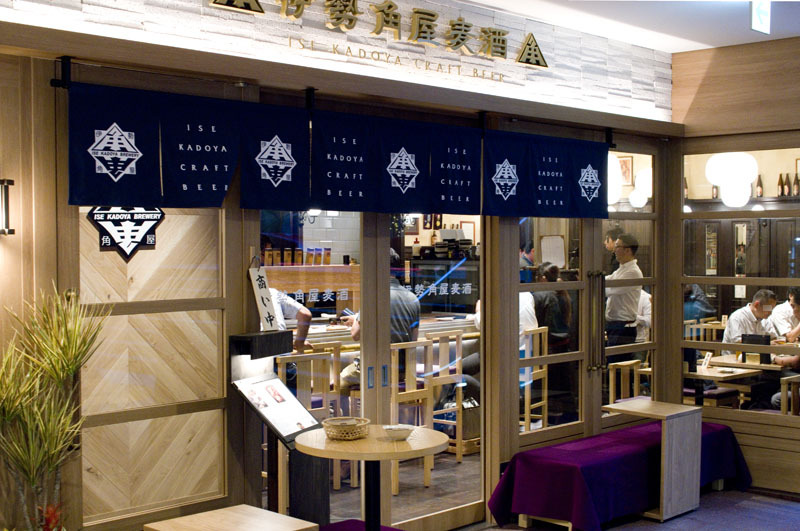 The kitchen turns out regional Mie cuisine built around local ingredients - oysters and other fresh seafood, heirloom-breed Ise-akadori chicken and Matsusaka beef among them. 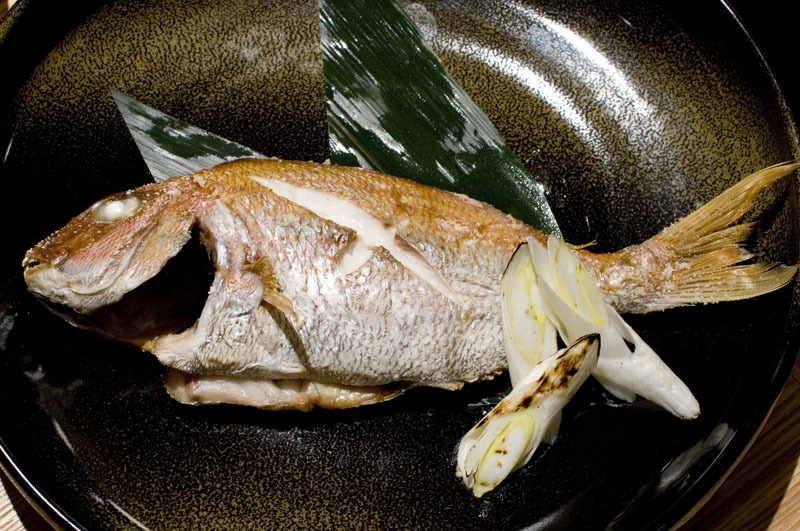 Befitting a versatile izakaya, many of the small dishes here go equally well with sake or craft beer. 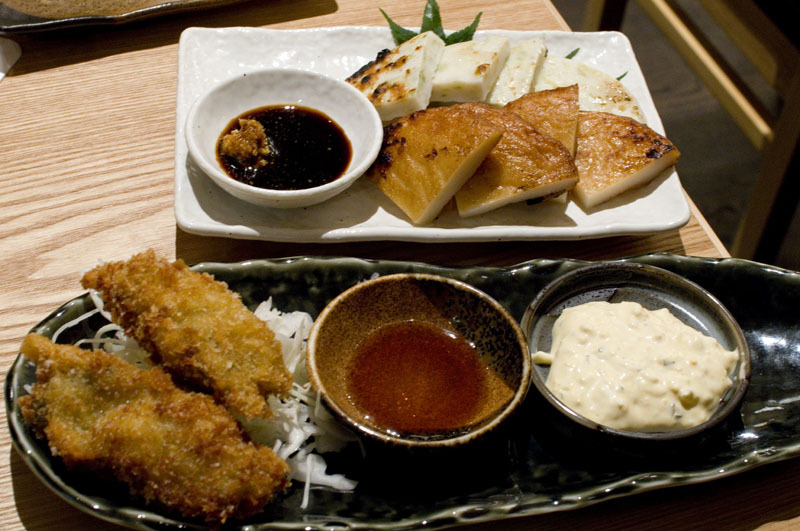 Some recent highlights were a platter of excellent satsuma-age fish cakes, a light-tasting potato salad, and obanzai-style eggplant and kimpira appetizers. The distinctively flavored Mie-style tsukemono pickles are very satisfying, although the bracingly tart takuan might take some getting used to. Fried oysters are a good standby for the craft-beer portion of the evening, while the delicately flavored grilled fish seems to go well with sake. 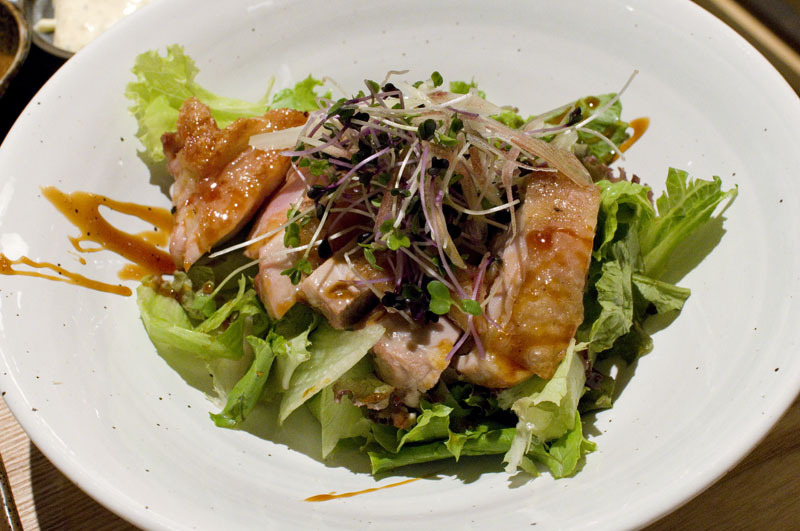 Our charcoal-grilled chicken came with a well-dressed salad, but while the meat was tasty it could have spent a bit more time on the grill for extra crispness. 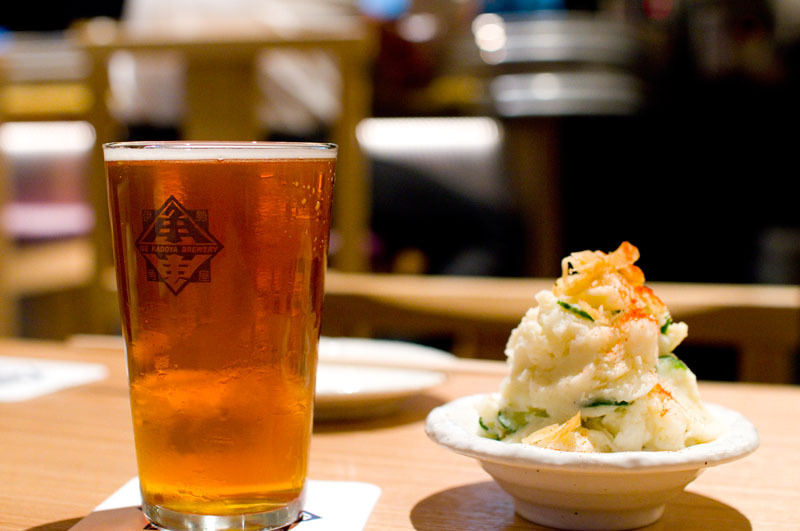 The popular chicken karaage might be a better match for the beers. When we visited during opening month the roster of thirteen beers included a whopping seven different IPAs, distinguishable from one another by their hop components and alcohol levels. 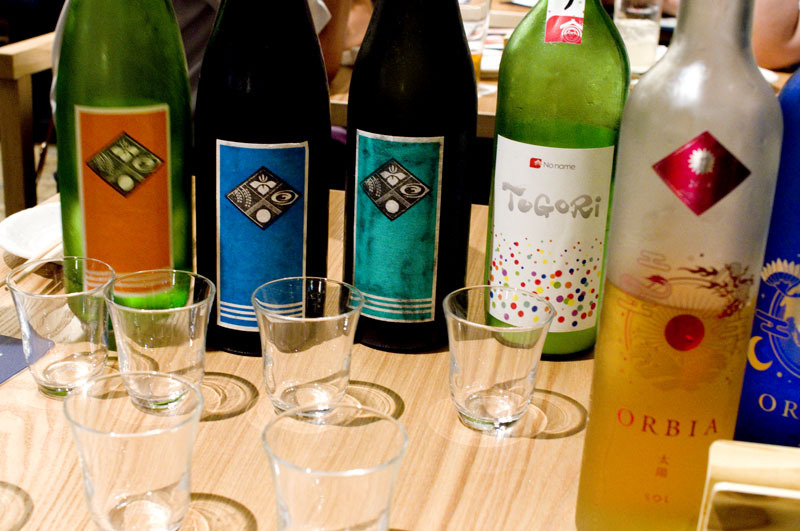 The all-Mie sake list is also worth exploring, and features a number of labels from smaller craft-sake breweries. Draft Ise Kadoya beers start at Y650 for a half pint and Y1000 a pint, and a full dinner with drinks averages around Y4000-5000 per person. Chuo-ku, Yaesu 1-4-16, Tokyo Tatemono Yaesu Bldg B1F. 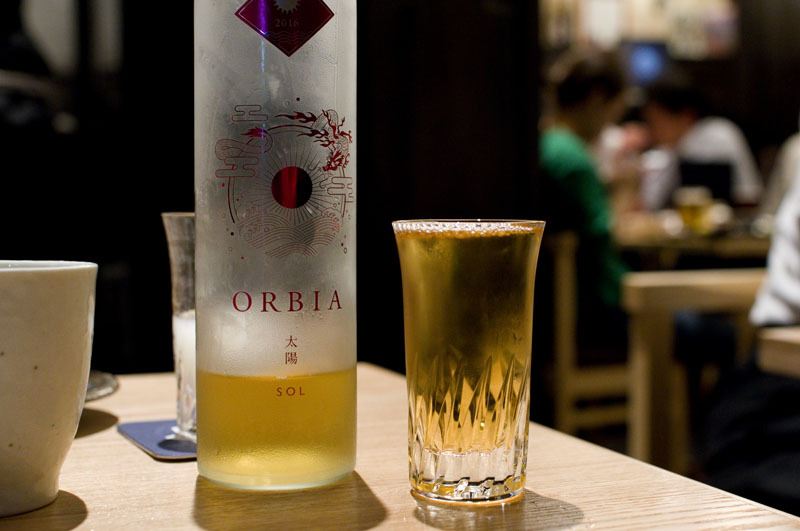 Open 11:30am-2, 5-10:30pm (LO). Closed Sundays, holidays.